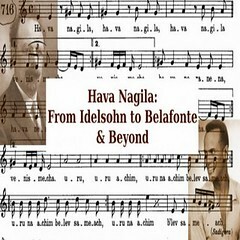 A second Aliya (1904-1914) song which became an integral part of the historical repertoire of Hebrew song. Both native-born and newly arrived pioneers sang it in all possible circumstances: at home at school in the youth movement in mass rallies and so on. The refrain alone but with the entire melody was used as accompaniment for the Hora. Almost simultaneously a variant appropriate to both the "Maccabee" movement and the Hanukah festival came into being: 'Rejoice heroic Maccabeans...' In the present version the song is performed antiphonally. The melody judging by its style may be a Hasidic dance tune. At any rate the melody of the refrain is based on motives that make up the first section of two Hasidic dance tunes one of which belongs to the repertoire of the Zanz Hasidim. The song has been published in song-books with two additional verses.